We reviewed the current Policy on Dogs and Dog Management Bylaw in November 2018 and are proposing changes to improve dog management in Auckland. 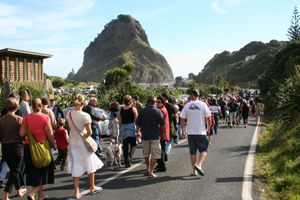 Let Piha R&R know your thoughts so we can include them in our submission to Auckland Council. reviewing access rules in regional parks. Once the consultation has closed, all feedback received will be presented to the Deliberations Panel before a final decision is made. You are welcome to attend and observe proceedings of the Deliberations Panel on the findings of this consultation at 9.30am to 4.30pm on Thursday 6 June and 9.30am to 4.30pm on Wednesday 12 June (if required). Both meetings will be held at the Reception lounge, Level 2, Auckland Town Hall.